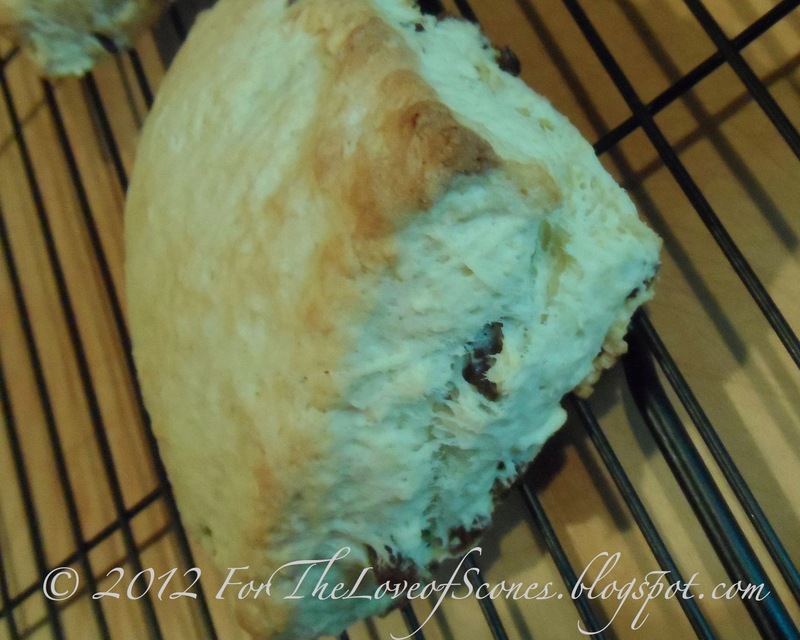 Working through several cookbooks which I got for my birthday this past year, I just had to try these “traditional scones” from The Bread Bible by Rose Levy Beranbaum. 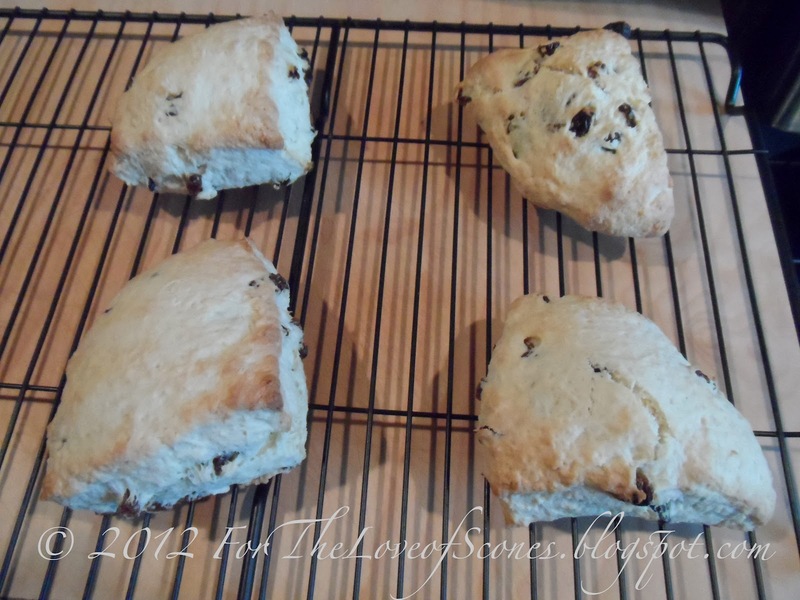 These are simple scones with only six ingredients. 1. Preheat oven to 425ºF. 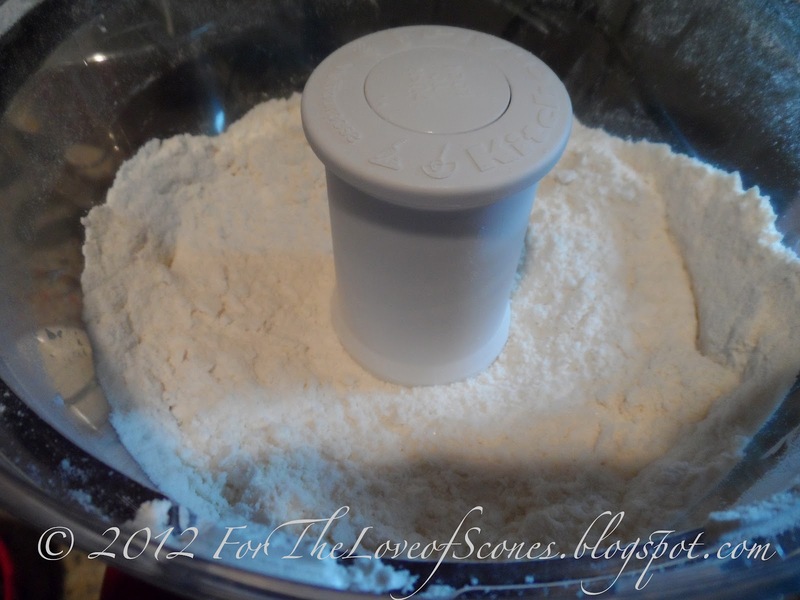 Combine self-rising flour and sugar in a food processor and pulse to mix. 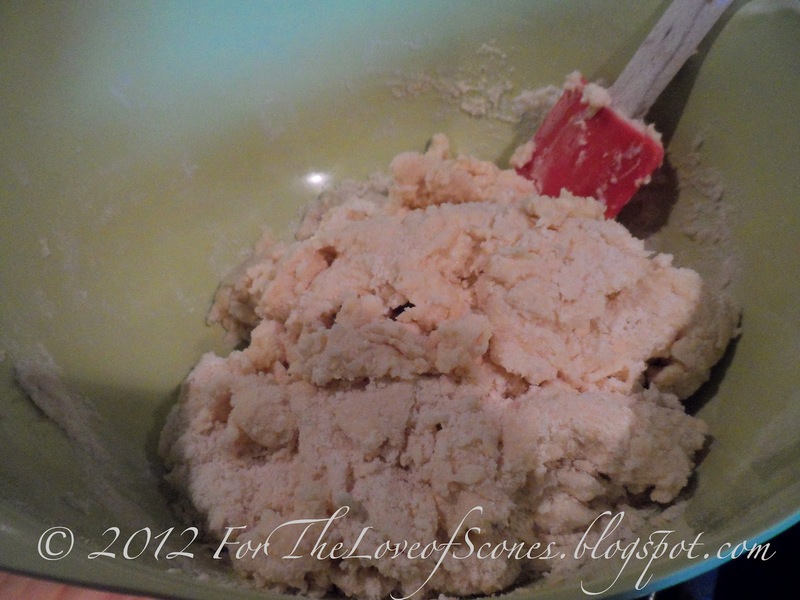 Add the chopped butter and pulse until incorporated into a sandy texture (8-10 pulses). 2. 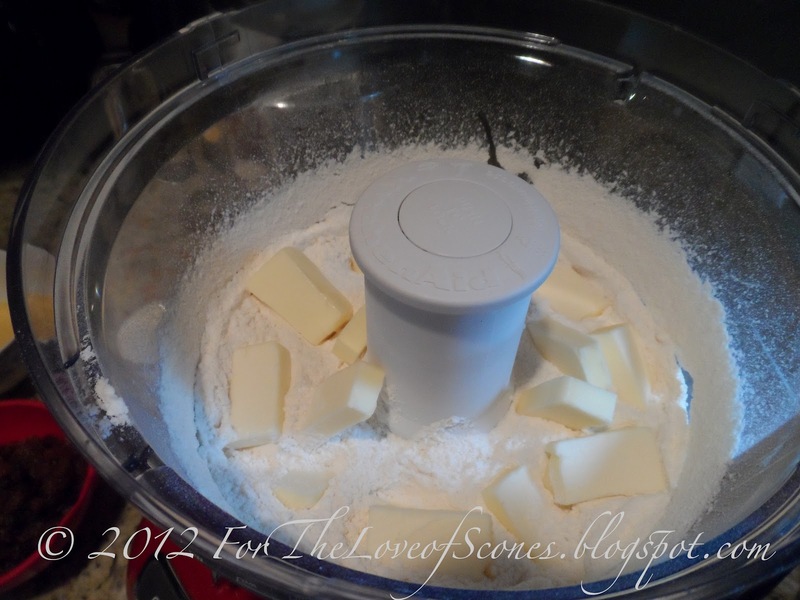 Mix the beaten egg and buttermilk together. 4. 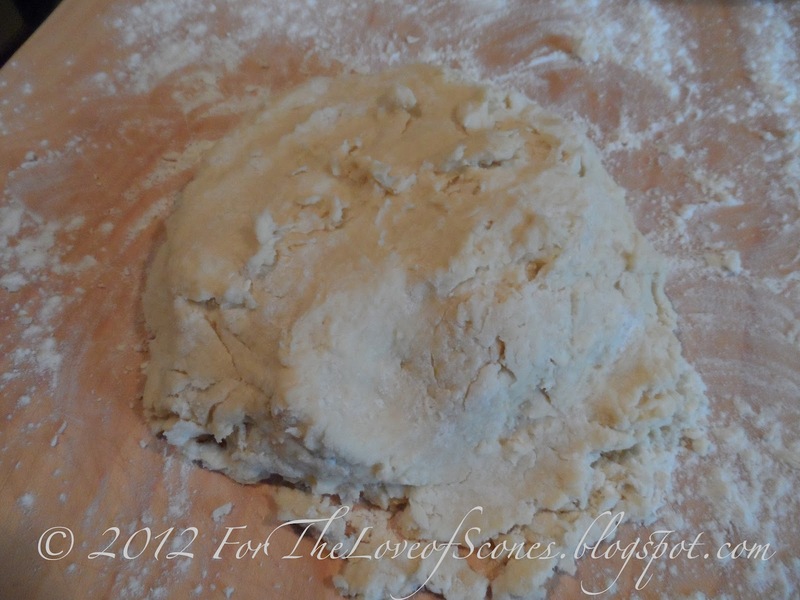 Transfer the dough to a lightly floured countertop and knead a few times to bring together. 5. 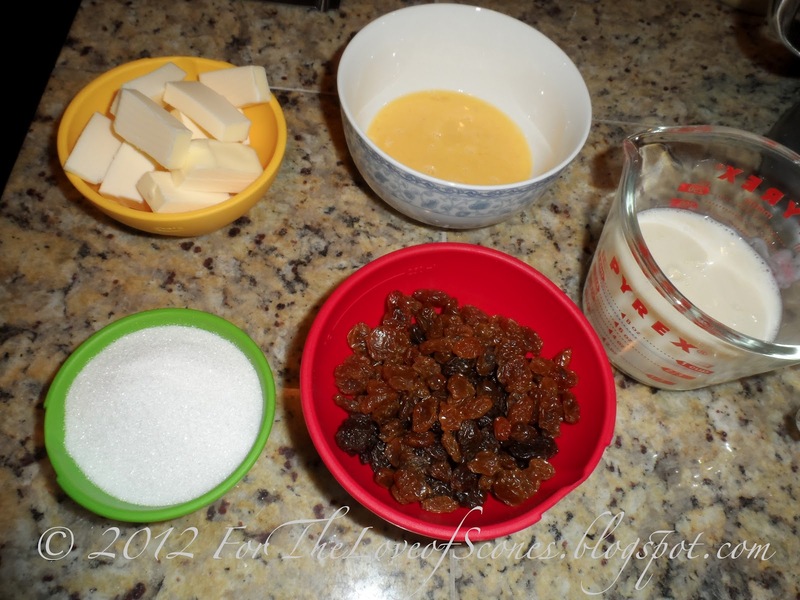 Knead the raisins into the dough. 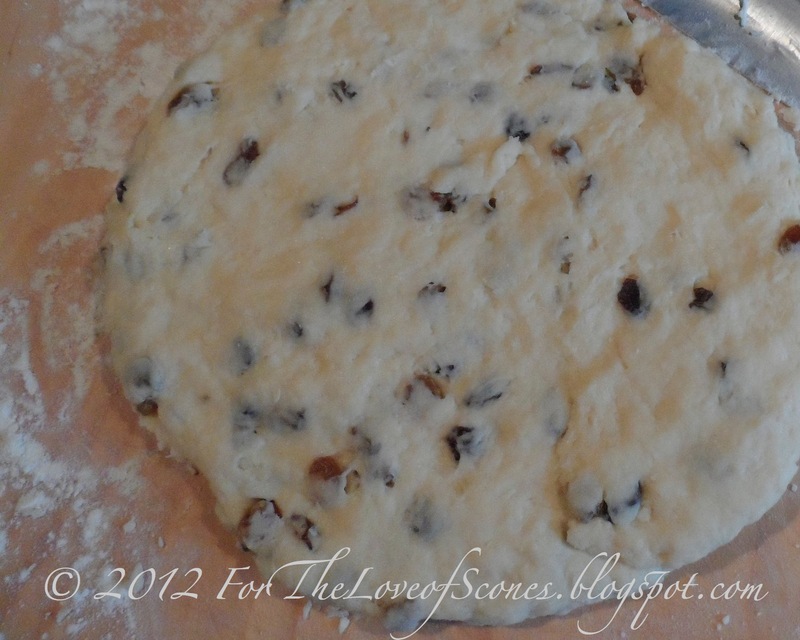 Flatten the dough out to 1/2 inch height and, using a round cookie cutter, cut out scones, rejoining scraps as necessary. 6. Bake at 425F for 15-18 minutes, or until golden on top. 7. Remove and let cool for 10 minutes.